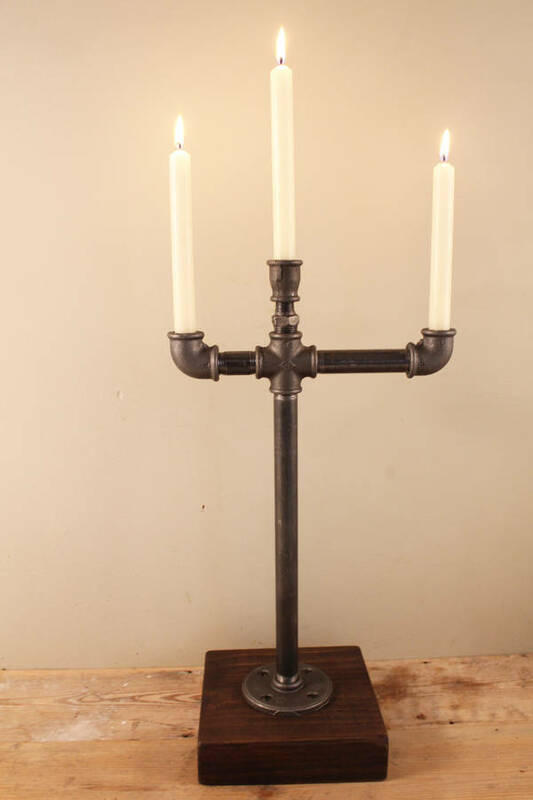 A beautiful three arm industrial candelabra. 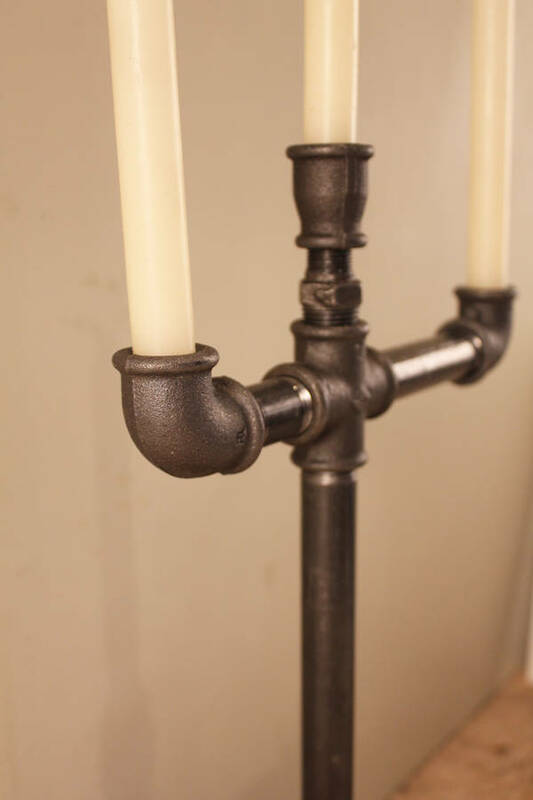 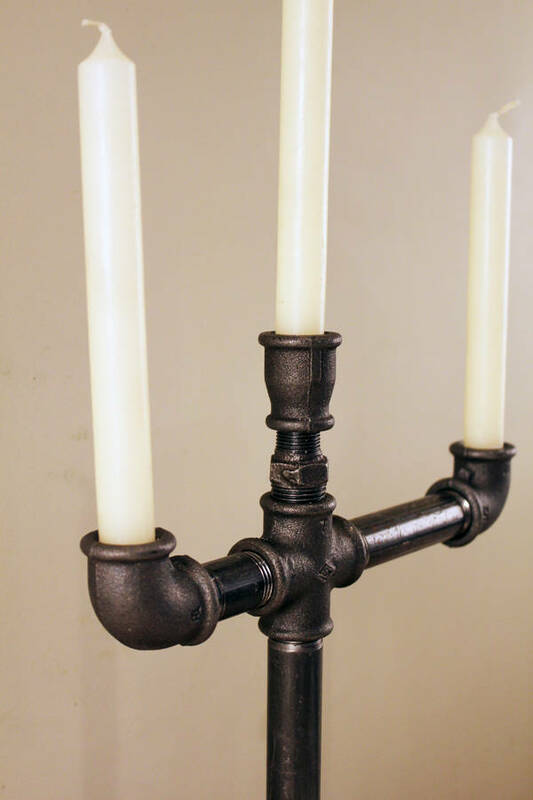 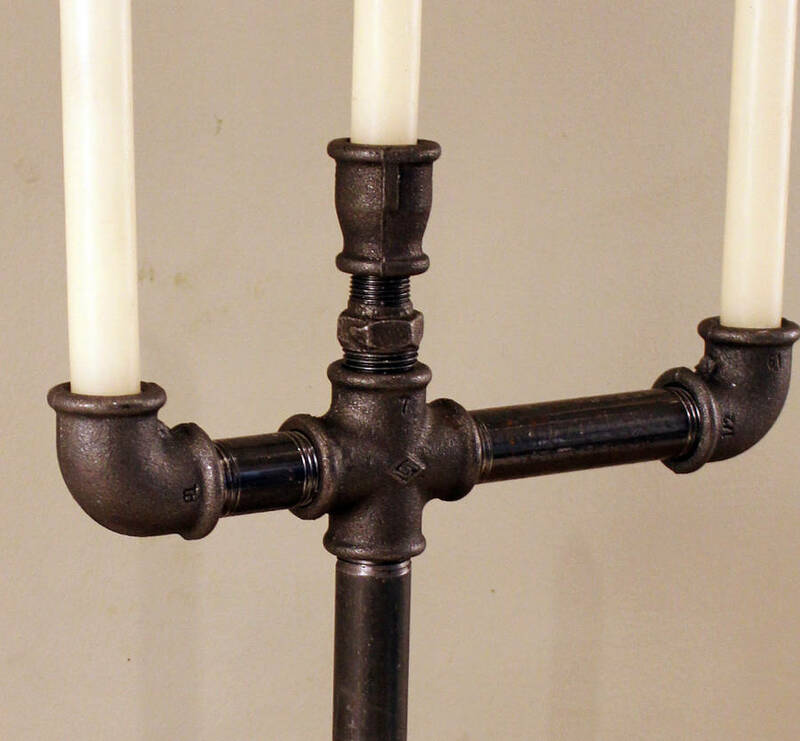 Industrial meets rustic candelabra, handmade from metal piping with a heavy substantial feel. 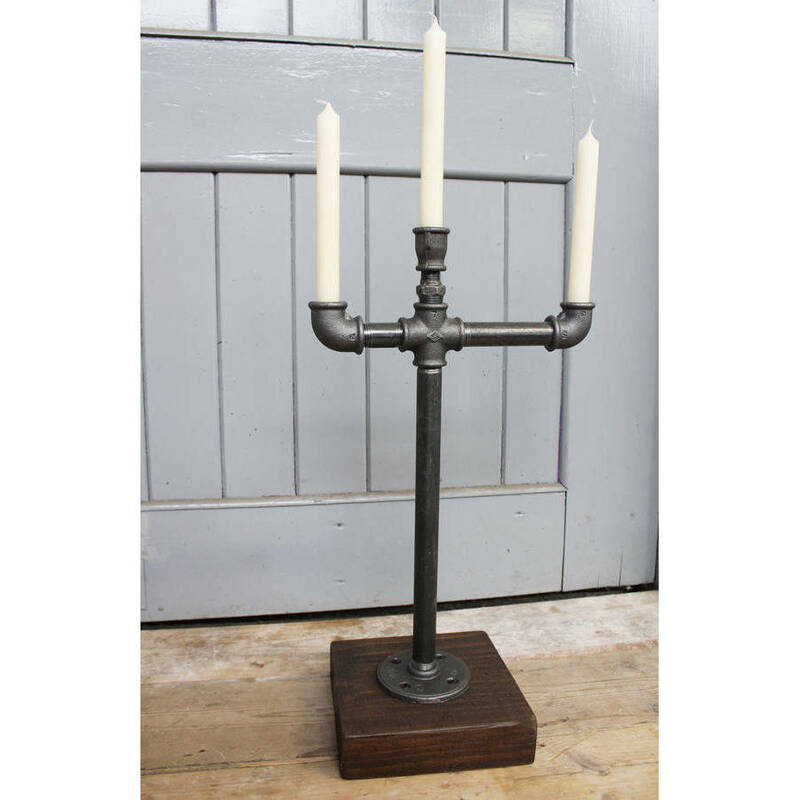 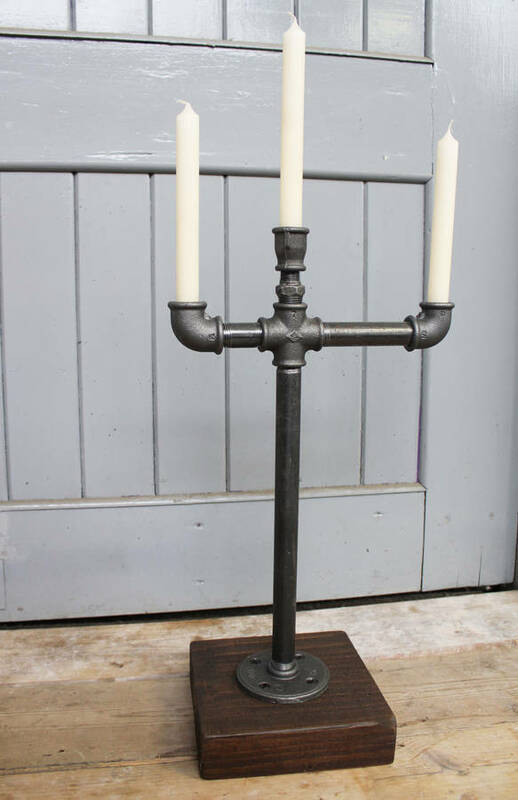 Industrial yet cosy, this unique candelabra is able to provide warmth while still maintaining a rustic, industrial feel, the perfect his and her gift! 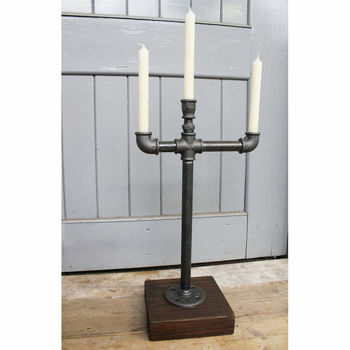 This candle holder will complement an eclectic or minimalist style beautifully - a great conversation piece for your home.